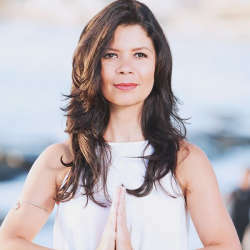 Learn how to balance chakras to help restore your energy flow and alleviate anxiety. If you spot chakra imbalances, here’s how to correct them. When its energy flow is disrupted or depleted, the body experiences physiological and psychological changes that can cause disease and imbalance. 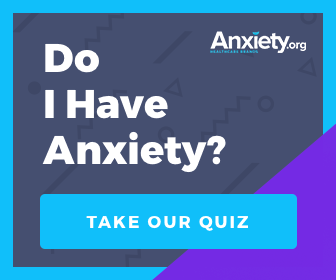 A stressful environment, life problems, losses, or traumatic events can create blockages in the energy flow that can translate into psychological symptoms such as anxiety and worry. 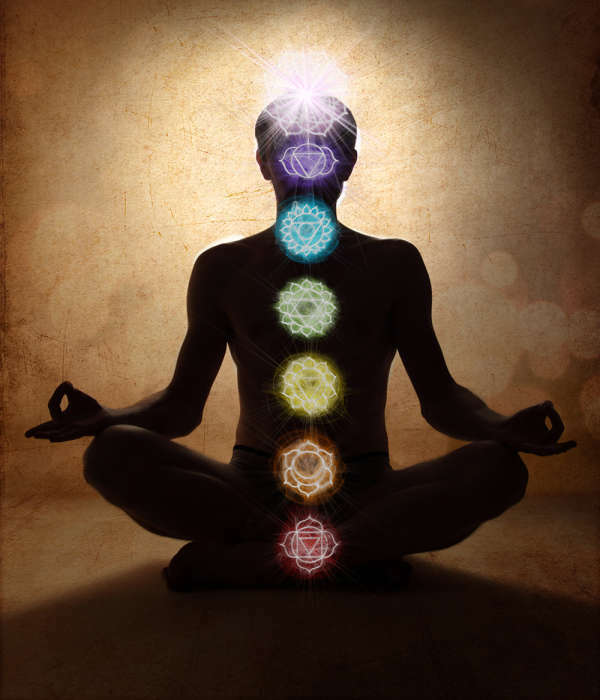 Balancing your chakras can help you restore the energy flow in your system and thus, reduce anxiety levels. Derived from the Sanskrit word "wheel," chakras are considered the centers of energy in the body. Chakras are centers where major nerve points meet and where life force, or "prana," flows harmoniously. Hindu and Buddhist traditions believe that when the flow of energy is blocked, it disrupts physical, emotional, and mental health. The concept of a universal life energy flowing through our bodies dates back to 5,000 B.C. in India (prana) and 3,000 B.C. in China (ch'i). Prana, ch'i, shakti, aura, or biofield are some of the names used to describe a quantifiable energy field associated with the body system. Many researchers have measured the currents of energy flowing through the body as in the case of devices such as the Electrocardiograph (EKG) and have found that this bioenergy field is directly related to the body's physical functioning. There are seven main chakras that connect to nerve points or plexuses in the body. According to the Western practices, these seven points affect the nervous system and the endocrine glands. Each chakra is associated with a specific color from the seven rays of the spectrum light, or rainbow. Color light is an electromagnetic wave that affects our bioenergy or auric field. The first chakra is the Root chakra. Located in the tail bone, this chakra is associated with the color red. It is connected to the adrenal medulla, the gland responsible for fight or flight (which is what you might feel at the onset of a panic attack). The Root chakra regulates the sense of security, survival, and instinct. When this chakra is out of balance we feel depleted, hopeless, ungrounded, anxious, and lonely. To balance this chakra, energize your space and your body by adding the color red. For example, add red flowers to your work or home environment, wear a garnet stone, or eat some red berries. The second chakra is the Sacral chakra, located in the pelvis and associated with the color orange. It is connected to the adrenal glands and the genitourinary system. This chakra regulates the basic emotional and sexual needs as well as creativity and confidence. When this chakra is out of balance we feel emotionally imbalanced, lonely, and might struggle with addictions and dependence. To balance this chakra, energize your space with the color orange, for example wearing a carnelian stone, adding more orange food to your diet, or wearing orange clothing. The third chakra is the Solar Plexus chakra. Located under your ribs and in the diaphragm, this chakra is associated with the color yellow. It is connected to the digestive system and the adrenal glands. This chakra regulates our fears, sense of power, and gut feelings. When this chakra is out of balance we experience fears, eating disorders, anxiety, and loss of control. To balance this chakra, energize your space with the color yellow, for example by adding yellow flowers, wearing a yellow citrine crystal, or adding lemon to your water. The fourth chakra is the Heart chakra, located in the center of your chest around the heart area and is associated with the color green. It is connected to the heart, the thymus, and the endocrine system. This chakra relates to compassion, love for self and others, connection, and safety. When this chakra is out of balance we feel disconnected, hopeless, and rejected. To balance this chakra, energize your space with green plants, wear a green jade, and eat more leafy-green vegetables. The fifth chakra is the Throat chakra, located in the throat area and associated with the color blue. It is connected to the thyroid gland and regulates our sense of security, leadership, expression, and fluid communication. When this chakra is out of balance, we feel anxious, paralyzed, and insecure. To balance this chakra, energize your space by connecting with the ocean. Try wearing a Lapis Lazuli stone or eating blueberries. The sixth chakra is the Third-Eye chakra, located between your eye brows and associated with the color indigo. It is connected to the pineal gland and regulates our inner guidance or intuition, thoughts, and dreams. When this chakra is out of balance, we may feel imbalanced and judgmental, unable to access our intuition, and have difficulty sleeping. To balance this chakra, wear an azurite stone, use lavender essential oils, or connect with the indigo night sky. The seventh chakra is the Crown chakra, located at the crown of your head and associated with the color violet. It is connected to pituitary gland and the central nervous system. It is associated with our consciousness, inner wisdom, imagination, and spirituality. When this chakra is out of balance, we feel depressed, hopeless, confused, and disconnected. To balance this chakra, wear amethyst, eat figs, and adorn your space with violets. The first steps to alleviating your anxiety are as simple as brightening up your living space and eating healthier. Start with one chakra and slowly branch out to the rest. This way, you can give proper attention to all the vital components of your energy flow system. Once you have recognized your symptoms and their association with your chakras, use the suggestions to rebalance the energy flow and help your anxiety melt away.